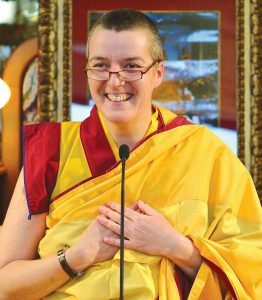 Gen-la Kelsang Khyenrab is the NKT National Spiritual Director for Canada and the Resident Teacher of Kadampa Meditation Centre Canada. 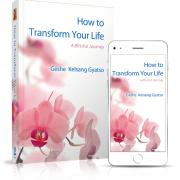 A retired General Spiritual Director of the New Kadampa Tradition (NKT-IKBU), he has trained closely with Venerable Geshe Kelsang Gyatso Rinpoche for over thirty-five years. 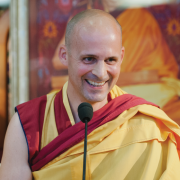 Gen-la Khyenrab is an internationally renowned teacher and English Buddhist monk who is greatly admired for his powerful teachings as well as his pure example of humility and loving-kindness. 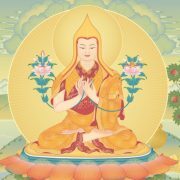 The Kadampa lineage passed from generation to generation until the fourteenth century when it reached the great Buddhist Master Je Tsongkhapa. He clarified the teachings of Kadam Dharma and made them accessible to the people of that time. 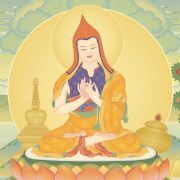 In particular, he showed how to combine Lamrim and Lojong with Mahamudra Tantra in a unified daily practice and his practitioners became known as ‘new Kadampas’. 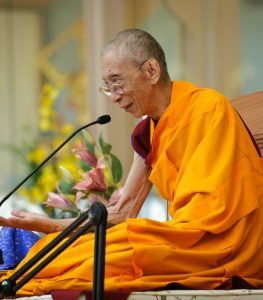 The New Kadampa Tradition ~ International Kadampa Buddhist Union (NKT-IKBU) is an association of over 1200 Buddhist Centres and groups that derive their inspiration from the example of the ancient Kadampa Masters and their teachings, as presented to the modern world by Venerable Geshe Kelsang Gyatso. Rapidly growing, our Kadampa community is an international family, offering support, inspiration and encouragement for this joyful and profound spiritual path at Centres around the world. 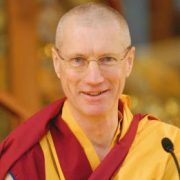 For more information please see the main Kadampa website.